Foo Dog Statue is an ancient sacred dog in Asia that traditionally protected the palaces, temples, tombs and houses of wealthy people. 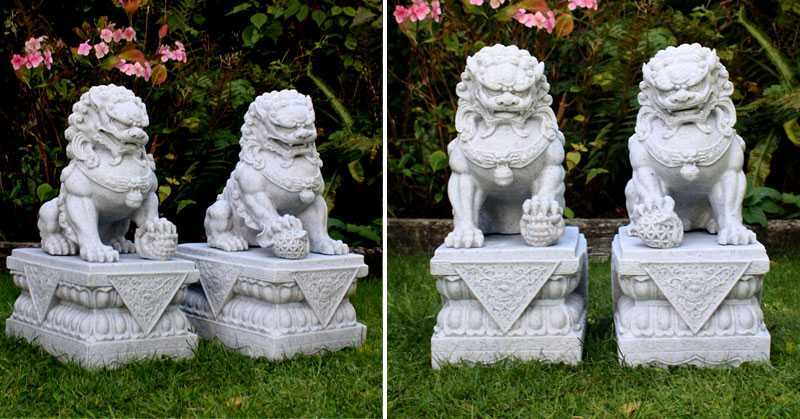 The statue of Fu Dog also makes a strong statement and adds style to any room, front porch or garden. These dogs have a rich history of epic aesthetic appeal and legends and traditions. It dates back to 206 B.C. 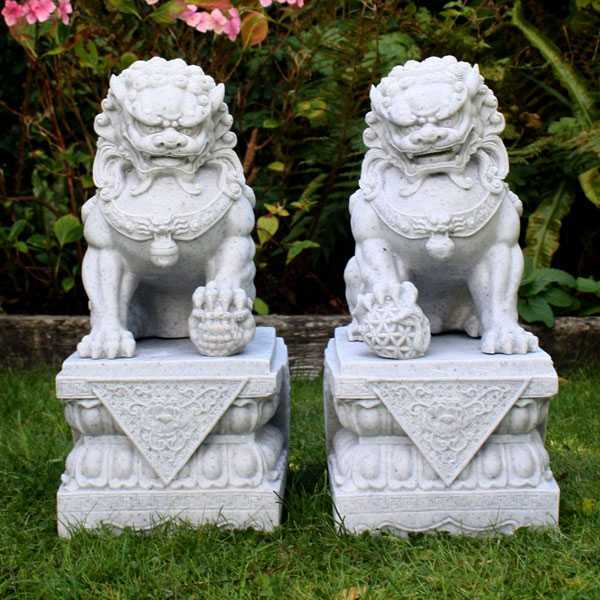 to defend the entrance to the house and sacred space using the Foo Dog Statues (for sale). These striking beasts were said to have a magical defensive force that protects the inhabitants from harm. The presence of a real, or otherwise roaring lion was said to deter thieves and negative energy from entering the estate. Animals also conveyed the wealth and power of their owners. 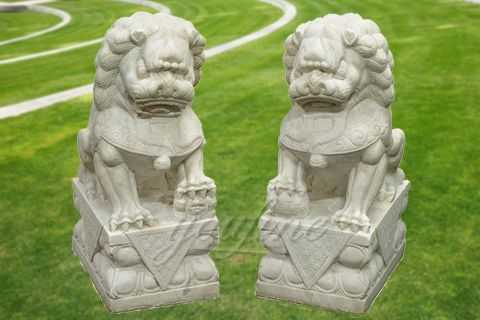 Foo Dog Statues (for sale) are meant to be a pair. 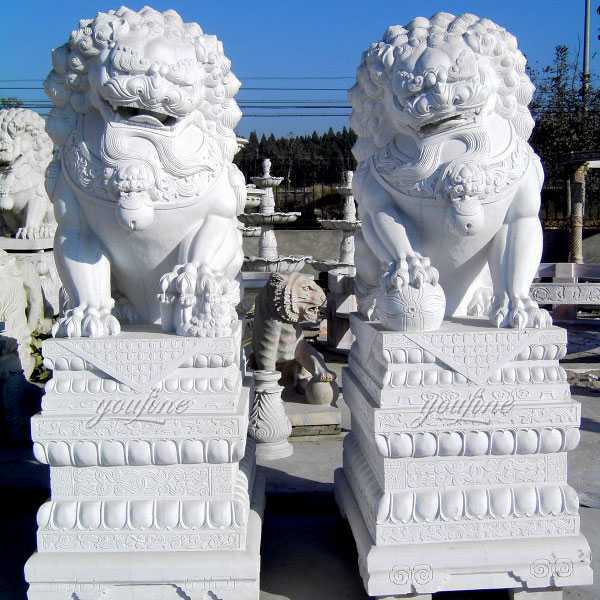 Foo dogs are symbolic, protective statues, and they are designed in pairs — one is female, the other is male. 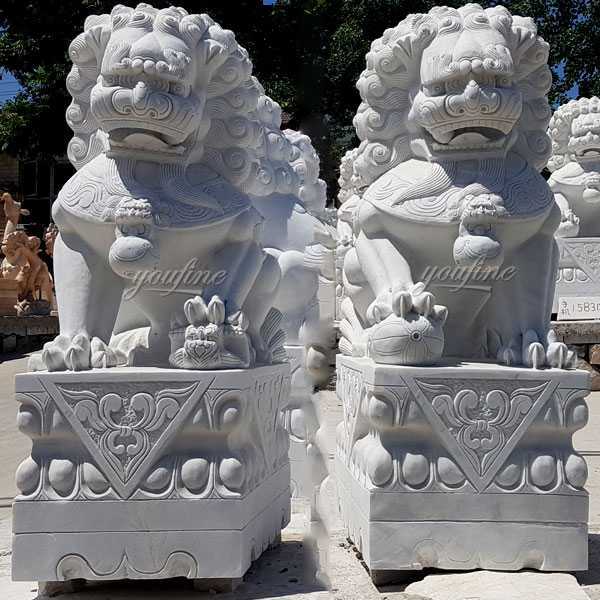 The female represents yin, and symbolically protects the people dwelling inside the home, while the male statue, representing yang, protects the structure itself. 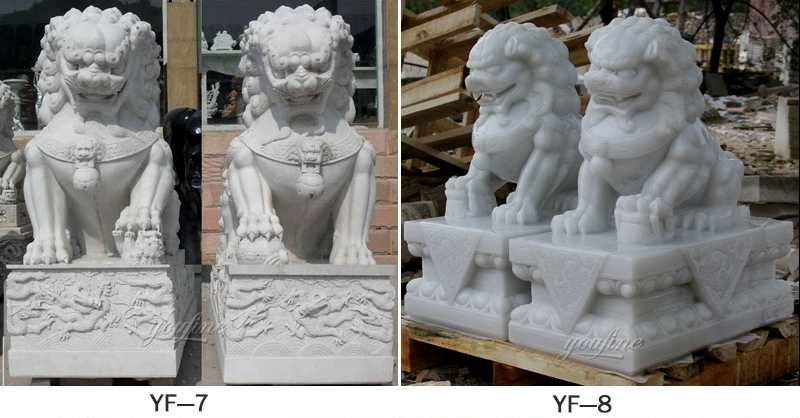 The statue of a Foo Dog Statues (for sale) for the front porch is believed as the protection of a particular place. 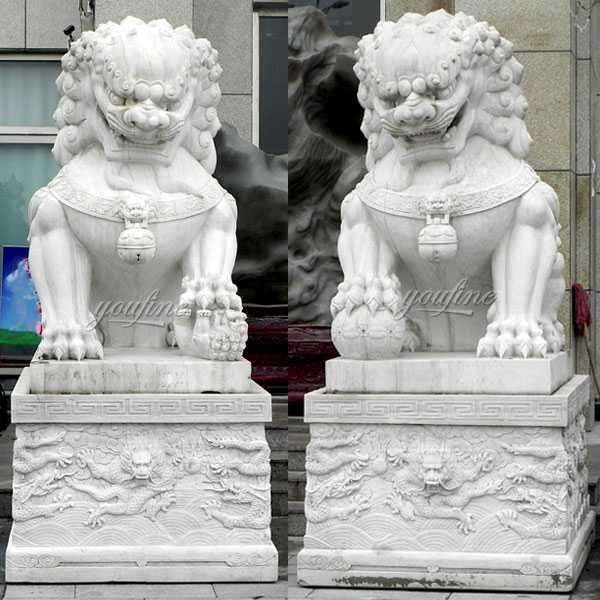 There are many animal statues that represent symbolic meanings. For example, a statue of a lion is considered the king of other animals ‘ forests. This animal image has the meaning of power and grandeur. That’s why a statue of a lion should be put in the front entrance of the building, the office, and even the house. 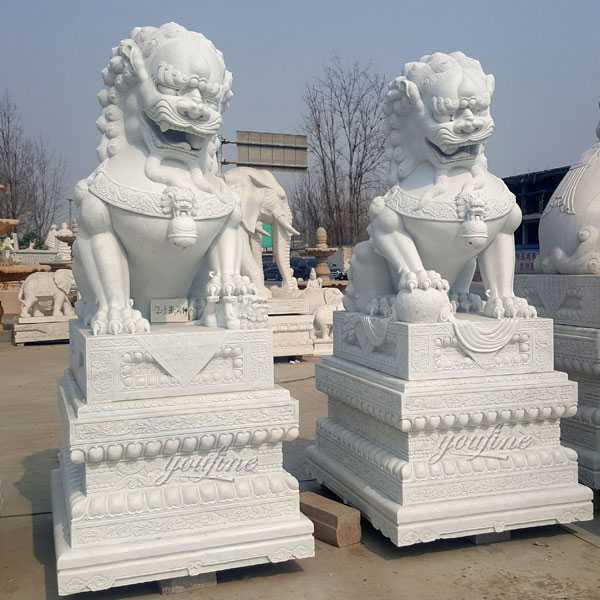 So if you want to know more about foo dog statue,or have requirement about Foo Dog Statues (for sale) ,please contact with YOU FINE ART SCULPTURE,focusing on marble carving since 1983.